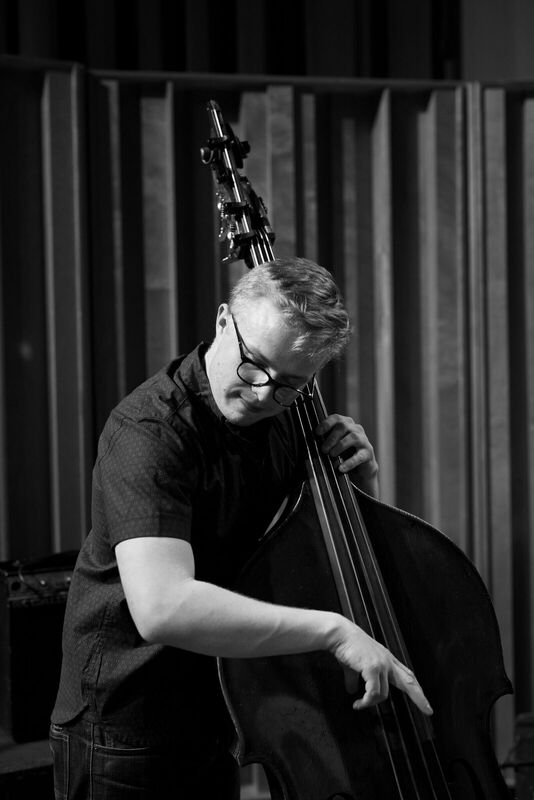 Miller Wrenn is a bassist and composer-improviser based in Los Angeles, CA. His first album as a leader, Alternates, with his quintet Escapist was released May 4th, 2018 on pfMentum Records. His music explores alternative models of improvisation, creative orchestration, and unfamiliar timbral and melodic gestures in pursuit of expressing universal experiences through an idiosyncratic lens. He performs and records frequently in a wide variety of contexts and has been fortunate to do so with artists such as Steve Lehman, Vicki Ray, Larry Koonse, Joe LaBarbera, GE Stinson, Tony Malaby, Mark Menzies and many others. Notably he recently performed the world premiere of John Cage’s “all sides of the small stone for Erik Satie” at the RedCat Theater in Los Angeles with The Ensemble at CalArts, and regularly performs and records with avant-garde jazz luminary Vinny Golia. Additionally, he performs with and composes for a multitude of collective musical ventures and his own projects. He is a member of Off Cell, a forward-thinking quartet comprised of musicians from Los Angeles and Dallas, which released its debut recording in February of 2017. As both a performer and composer, he is a member of the New Music chamber group EnsembleVomma, which recently premiered his long-form work The Shape of Them Dissolving, for piano and string quintet, at ArtShare LA along with two premieres of renowned composer/violinist Mark Menzies. Miller received a Master of Fine Arts degree in Bass Performance and Composition from California Institute of the Arts.